What's a Pop-Up Shop? 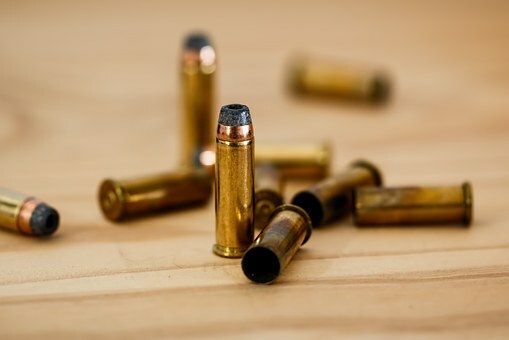 They are "here today, gone tomorrow" retail spaces. However, these ten pop-up shops have one thing in common: they'll stay in your head for its inspiring design. In 2013, Berlin's CLOUD 7, creator of sophisticated and upscale interior products for dogs, teamed up with Normann Copenhagen to launch an exclusive pop-up at Normann's concept store. 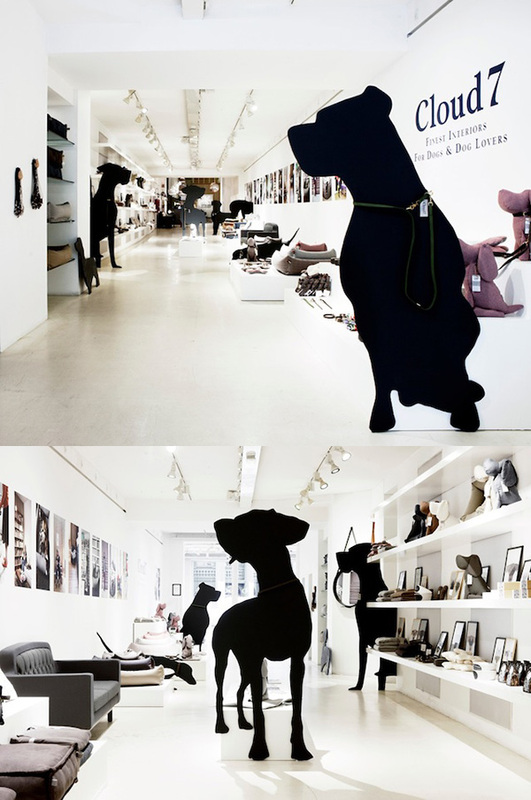 The store featured oversized (and somewhat imposing) dog silhouettes scattered amongst top of the line collars, leads, beds, bowls, and canine portrait art. 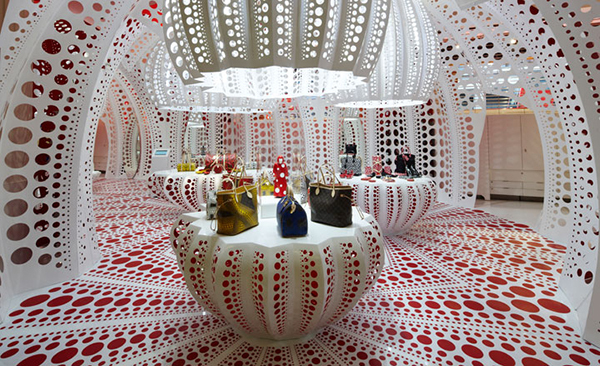 In 2012, Louis Vuitton and artist Yayoi Kusama essentially "took over" Selfridges in London with the creation of this dotty concept shop and 24 of the store's windows. 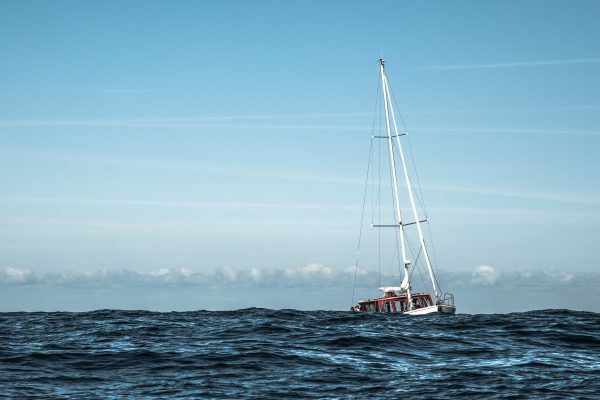 The pop-up ran from August 2012 until October 2012. 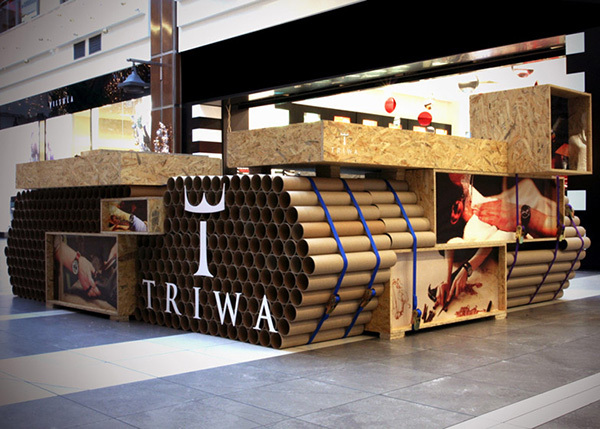 Cheap, easy to construct and certainly eye-catching, this pop-up shop for TRIWA watches was created by Polish studio Mode:lina Architekci and was located in Pozna? Plaza shopping mall in the city of Pozna?, Poland in 2012. The tank was built from over 900 cardboard tubes and held together with brightly colored ratchet straps. Sales assistants stood inside the tank and sold watches to passing customers. This pop-up shop in London's Shoreditch neighborhood was only open for three days in January 2014. 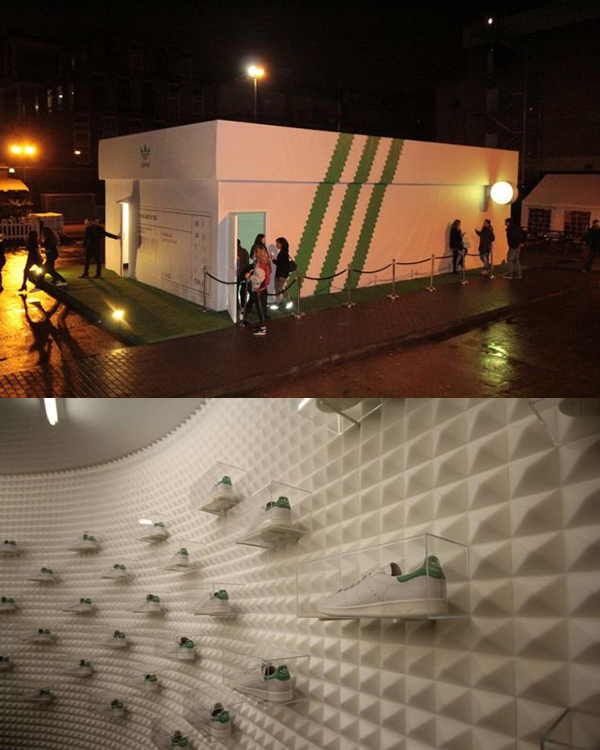 Designed to celebrate the launch of the company's Stan Smith collection, the store included "an interactive floor, a digital 'Stan Yourself' station, and a 3D printing post." The "Stan Yourself" station allowed for customers to put their own faces on shoes, while the 3D printing post let them make custom lace locks. 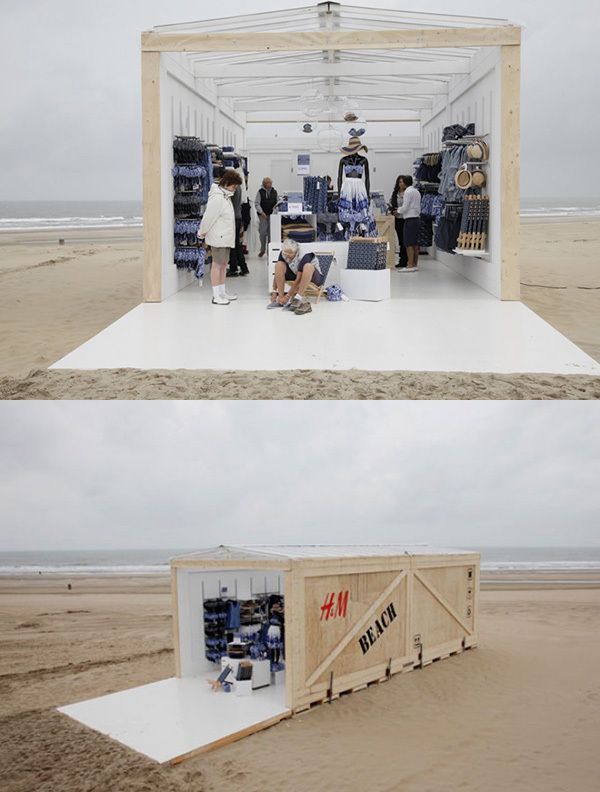 In 2011, an H&M pop-up appeared on the beach of the Hague's coastal suburb of Scheveningen. The two-day retail venture was a collaboration with Wateraid, an international non-profit organization committed to transforming lives by improving access to safe water, hygiene and sanitation. Luxury watch designer Hublot's pop-up was located in Singapore's Paragon Shopping Mall and featured over $20 million worth of merchandise. The store was created in a collaboration with Singapore designer Chris Lee of Asylum. Titled “Big Bang," the two story installation featured black gems that cascaded from the ceiling. The "blink and you'll miss it" retail space was open for only two weeks in 2012. The Push Button House was created by artist and architect Adam Kalkin in collaboration with coffee giant illy. This pop-up unfurls at the push of the button and is made from recycled and recyclable materials. Check out the space below as it makes its transformation from a coffee stand into a whole cargo container building, which comprises a kitchen, dining area, bedroom, living room and library. 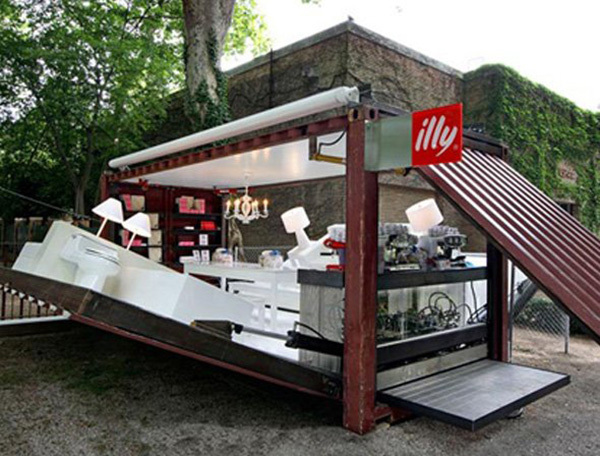 The illy pop-up was open from November 28 and December 29, 2007, but has been restructured by Adam Kalkin for other events since. 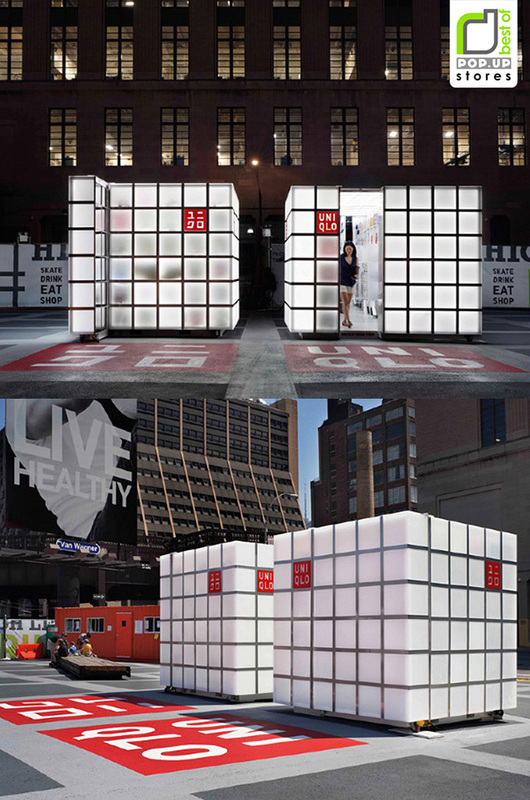 In 2012, six “Uniqlo cubes" designed by HWKN, were set up at the Highline Rink in Manhattan. Once the cubes were dropped into their location, a section of the form slid open to welcome customers inside and to reveal the retail treasures that lie inside. 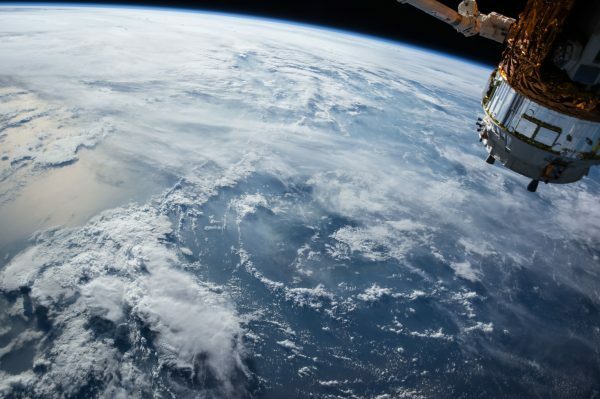 This is a space we think Warhol would have loved. 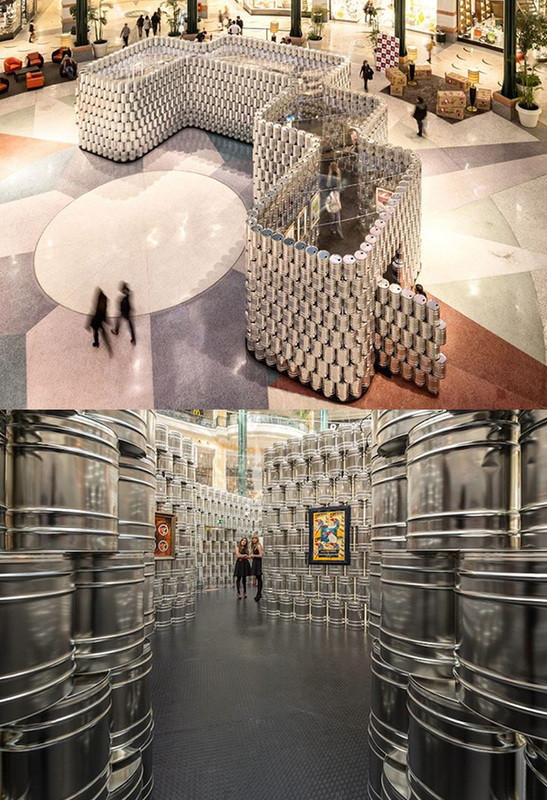 Lisbon, Portugal's LIKEarchitects wanted to avoid the conventional white-walled museum space to showcase Andy Warhol's art and instead opted for an unusual design – the Warhol pop-up consisted of four rooms carved out of a maze of 1,500 metal paint cans. The pop-up was located in the Colombo Shopping Mall's atrium from April-July 2013 and consisted of 8 layers, the bottom three of which were filled with sand to keep the structure stable. 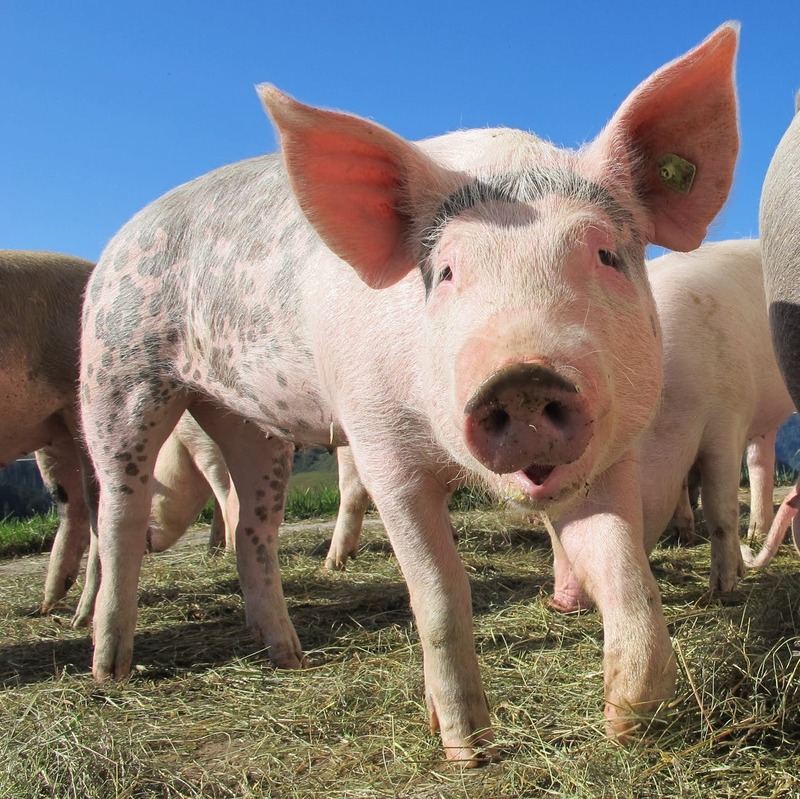 The temporary retail space proved to be a hit with shoppers – it attracted over 100,000 visitors in its short lifespan. 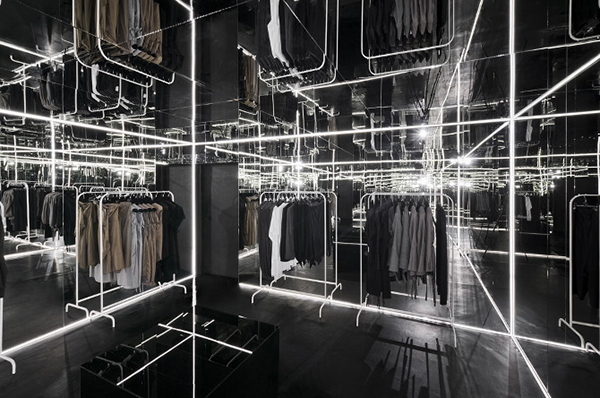 Polish architects Super Super and Inside/Outside designed this retail space inside a mobile office container for clothiers Zuo Corp.
Super Super created the illusion of infinite space in the tiny store with a creative layout, using mirrors and LED lights: "To avoid the impression of being in a confined space, we decided to visually enlarge the main room to infinity by lining the walls and ceiling with mirrors. 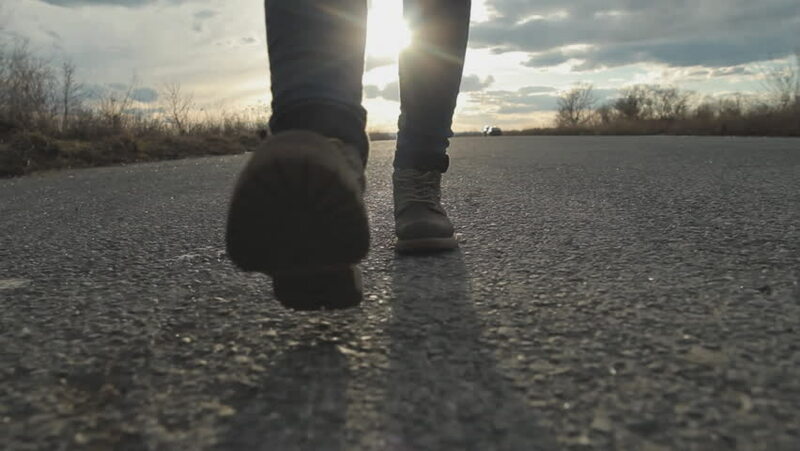 The floor was covered with black linoleum. The doors to the back and into the dressing room were also hidden behind mirrors. 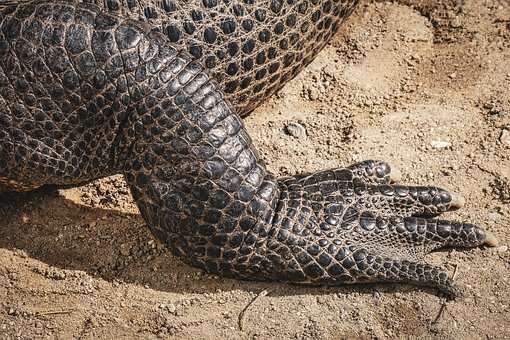 The changing room was lined with black cloth. 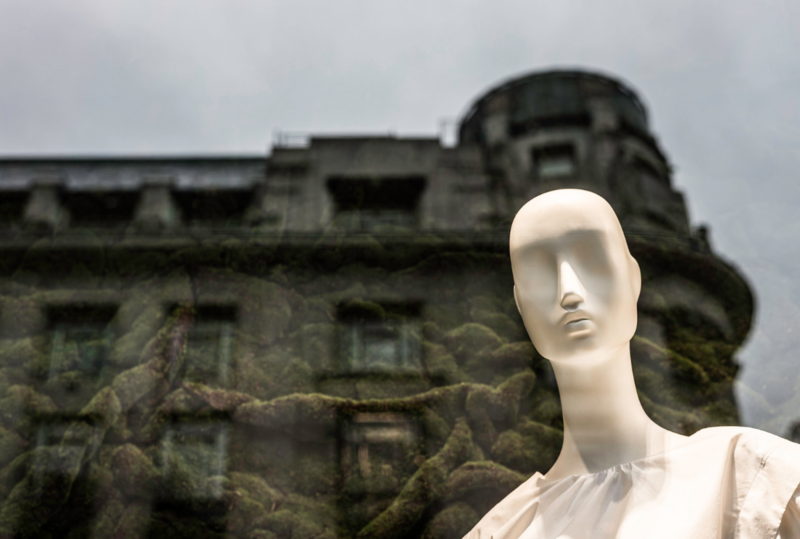 The customers had to go outside the dressing room to see their own reflection." The pop-up was located in Warsaw's city center, opposite the popular café "Mi?dzy Nami" for three months in 2011.